Brewing Better Beer: Master Lessons for Advanced Homebrewers is book written by BJCP president, Grand Master V Judge, and three-time Ninkasi award winning homebrewer Gordon Strong. While reading his bio I was surprised to see that he lives in the same small Ohio town where my girlfriend Audrey grew up. It had been awhile since I read a brewing book that didn’t have a narrowly defined subject, so I was excited to pick up some general improvements to my process. The concept behind Brewing Better Beer is an interesting one: the investigation of what separates the great brewers from those who simply understand the process. It does a good job of avoiding being bogged down by overly technical detail. It puts forth that at its heart homebrewing is a craft rather than an art or a science. Knowing the scientific underpinning of the process may inform your choices, and there is some artistry in recipe design and blending, but these are less essential than your ability to correctly complete the mundane tasks of mashing, sparging, yeast propagation, keeping oxygen out at packaging etc. At a certain point after brewing seriously for a few years many homebrewers realize that there are no longer any obvious upgrades that their system requires. From that realization a driven brewer can focus on methodically refining their technique and recipes to produce consistently great results. This book also puts a focus on personal efficiency, avoiding extraneous steps to allow for quicker and less taxing brew days. Being able to brew great beer with minimal time and effort is the goal that most of us strive for. Part homebrewing autobiography, Brewing Better Beer struggled to keep me interested. The author frequently poses questions for the reader to ask themselves about their own recipes, process, equipment, and technique. In some cases Gordon describes a particular situation and how he dealt with it, but generally does not dwell long. In the end most of these answers require personal investigation and thought (I assume most brewers like me evaluate the available options on their own). As a result, despite the 300+ pages, I didn’t come away with much advice that I’ve actually applied to my brewing. It may be that I’ve already been brewing too long, already developing a method and system that work well for my needs. 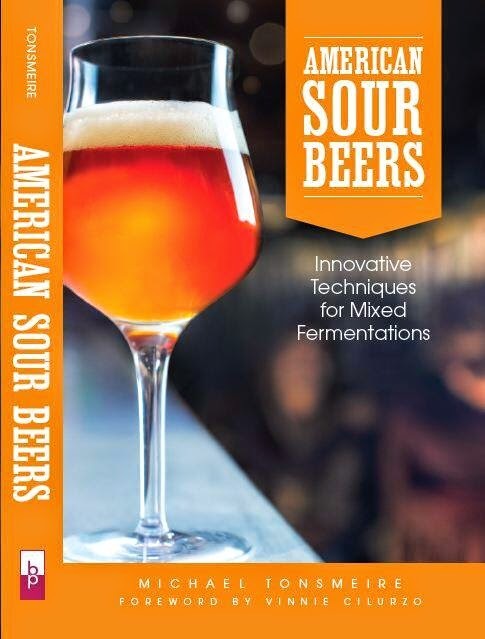 While its title suggests the book is for advanced brewers, it covers a number of things that are rather basic without interjecting any advanced information. For example information about how hops and malt are used, or options that I’d think most “advanced” homebrewers would be aware of (e.g. no-sparge brewing, all late hopping). I think this would be a better book if you are still trying to figure out what sort of system you want, or are thinking of doing a major overhaul. There are a few really interesting sections, I especially enjoyed the passage on using spruce tips (something I’ll have to try next spring). I also found the section about his use of dark grains to be interesting (basically always using cold steeping or adding at the end of the mash to reduce harshness). I would have liked to see more information like this presented in other parts of the book that went into detail on the benefits of a particular method or ingredient. One of the chapters focuses on the importance of BJCP styles, which I could have done without. Gordon uses the styles to define both brewing to style, and brewing off-style beers. He talks about the area between the “style space” of two beers as the place to create new styles. For example, the space between robust porter and IPA yielded black IPAs, or between Belgian tripel and IPA for Belgian IPAs. To me the best new beers come out of the ether outside the guidelines, drawing ingredients and techniques from different traditions and combining them into unique creations (or using new ingredients for the first time). I strongly disagree with his suggestion that all beers with yeast/spice/fruit character do not meld well with hops (he points to hefe, wit, and lambic in particular). There are a number of great beers that combine hop aromatics with fruity characters (see New Glarus Crack's Wheat, Mikkeller Not Just Another Wit, Cantillon Iris, and Cigar City Mango IPA). The book only includes a few recipes scattered through the text, mostly to illustrate specific points. I was surprised how complex Gordon’s recipes were, mostly featuring six or more malts. I tend to strive for simplicity, but it is interesting to see the intricate formulations of his award winning beers. Michael Ferguson in the forward, and the author in the text both compare the book to Zen and the Art of Motorcycles Maintenance, a lofty comparison which Brewing Better Beer fails to live up to. I think this one would be a good book to borrow from a friend or the library because it is not one I have found myself going back to reference. It is great to see Brewers Publication putting out more advanced homebrewing books since it seems like the “intro to” market is pretty well saturated. I felt somewhat the same way about the book. I chalked that up to the fact that largely, I am already "brewing better beer." Sometime around my 40th batch (much later than most advanced homebrewers) I made an effort to improve all aspects of my brewing. 150 batches later, and I've already learned a lot of the lessons that Gordon outlines here. There were several tricks I picked up on, my favorite being the way he uses a 2L soda bottle and carbonator cap to fine tune beers before carefully bottling for a competition. But I suspect that if I picked up this book around my 40th batch, I would have found it to be a revelation. Where I am now, it was more of a confirmation that I am on the right path and that the way to improve is through repetition, refinement, and self-assessment. The chapter on analysis I thought was extremely well-written, as well. I agree with your review... while some sections were great (again, the different ways to use dark grains, and I also thought his explanation of decoction brewing was very straight-forward compared to a lot of other descriptions I've read), I was surprised that what a lot of what was in the book seemed to be for less-advanced brewers. Overall, I think I enjoyed more of the first half then the second. I felt the same about the book. There were some good sections, but alot of times Gordon just mentions something interesting and doesn't discuss in any detail. And the Barleywine recipe is insane. I think there is 8 malts in that thing. Madness. I would recomend this book to folks that had just switched to all-grain. People still in their freshmen year of brewing would enjoy it. Thanks for the review. I recently picked up a used copy of Dave Miller's out-of-print "The Complete Handbook of Home Brewing" to replace a copy that I loaned out and lost years ago. He is an excellent writer and I prefer his just-the-facts style over Papazian (which was "the other" homebrewing book when I started). The book is a little dated but full of useful advice. The section on saccharification is especially good at making the science accessible. I'd like to have a look at Palmer's book some time to see how it compares. I think I disagree. While after the first read, I put this on the shelf and let it go. Then I read your review. I have since gone through most sections and find it to much more helpful than I thought. I think the authors approach to brewing is a great compendium to Designing Great Beers. While the latter teaches you how to hit numbers consistently through styles, BBB teaches you how to hit your numbers while maintaining a level of creativity that can sometimes be tamped down by learning high-technique and difficult styles. I think if you are looking for particular styles and techniques surrounding that style, the style books and academic papers are where you should be looking. All in all, I find this book great to revisit when trying to improve upon designs that came out of Design Great Beer. I wouldn't bet that these are the actual award winning recipies. The lakeside stout I made was not that great and it came out to spec. I agree 100% with all your points. Especially the high number of malts. I bet a lot of the recipies taste muddy or brown.